Fast forward a couple of years and a new adjustment was needed. My mom, a major supporter in my life, passed away. Shortly afterward we had several children and my expectation that I would still be able to do what I always had was shattered. 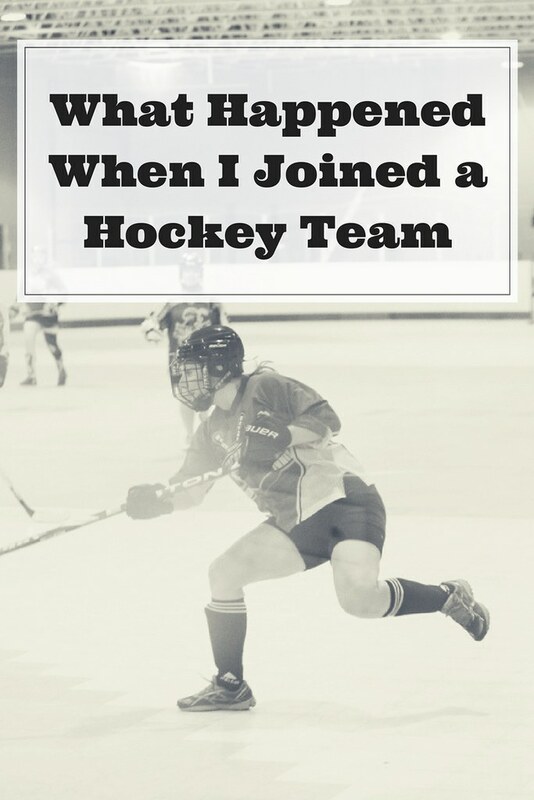 When we had our first son I was able to stay connected to sports, work and friends but having a second and then third made it difficult. I formed other connections with a book club and mom groups which helped to build up support and allow me to feel known but something was still missing. Quitting sports was a hard one for me. It had been a place where I could be me and not a mom or wife. I could experience the high of competition and physically working hard – definitely not the feelings I get from talking about a book, even as an avid reader. I was part of a group where working together led to feelings of joy and a sense of accomplishment. 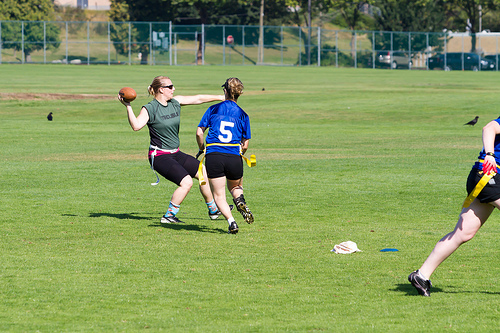 I stopped playing flag football because of the time commitment and my health. I sold my ice hockey gear sure I would never play again. Would I as a mom of three ever get to play again? 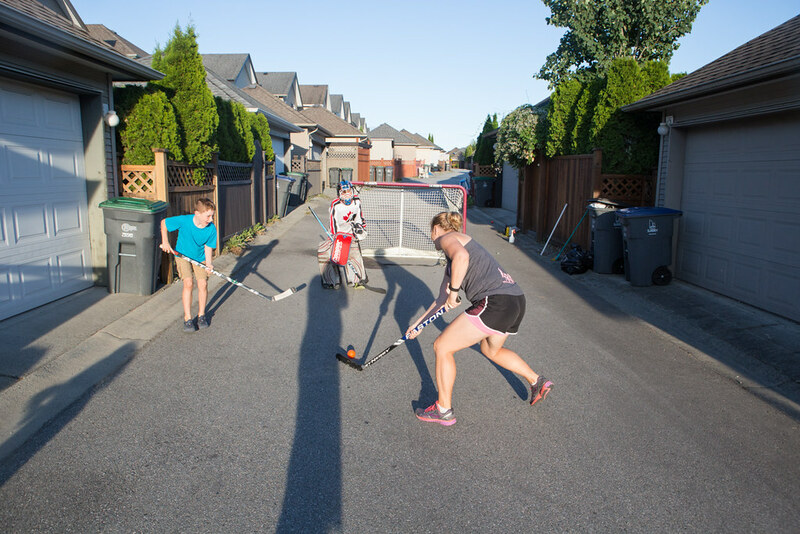 Beyond shooting the puck with them in the alley or practicing as goalie on the soccer field, I was doubtful and accepted it as part of growing up. It was okay. 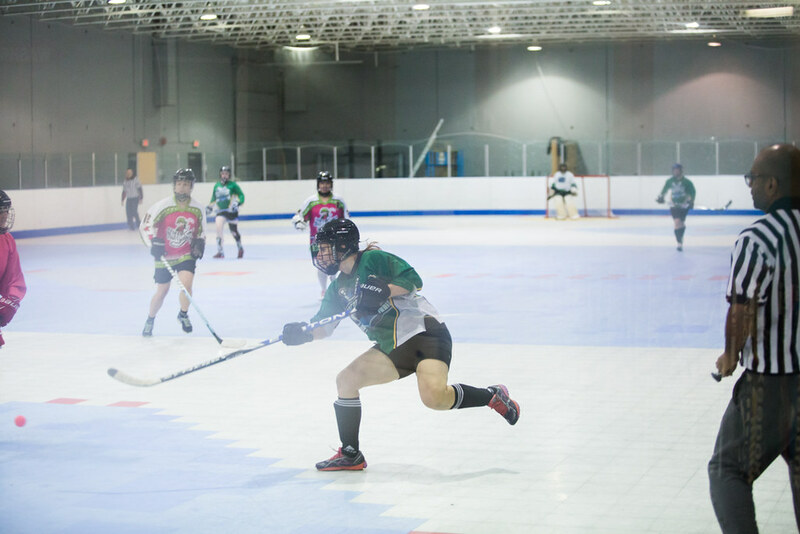 Several months ago my oldest joined a new ball hockey league and I learned that they had a women's division as well. I knew I had to join. Heading to the first game I told myself many stories. You will be the oldest one. You will be the slowest one. You could be so embarrassed. However, I was also able to give pep-talks reminding myself that I used to be pretty good at it and if it went terribly, I never had to see anyone again. If you have ever been part of a team then you know the feelings that come with it. The joy from working hard in something you love towards a shared goal is soul-giving. It isn't whether you win or lose, it's celebrating the small victories along the way. Technically we are halfway through our season and have yet to win a game. However, we are a first-year team and we have had several ties. We have had numerous goals. We have had wonderful passes and defensive plays. We are encouraging each other and pushing ourselves. We are showing up. We are improving. A lot of my "connecting" over the past few years has been online. When you have three young kids (or more through fostering) and a business where you work from home, there's a lot of time spent in isolation. As an introvert that was okay to some degree but the importance of face-to-face connection is needed for a sense of true belonging. I recently read in Braving the Wilderness by Brene Brown about the significance of a collective assembly. A collective assembly is a group of people who feel connected to something bigger which leads to joy. This group allows for meaning, social connection and decreased loneliness. For some, this could be attending a concert or a rally or church and for me, it often comes from being on a sports team. The feelings that originate at a collective assembly can carry over past the event. Building off of that point, psychologist Susan Pinker wrote on the power of in person interactions and how there is no substitute for it in The Village Effect: How Face-To-Face Contact Can Make Us Healthier and Happier. Pinker shares that keeping in close contact with people who are important to you helps you to live longer. She says "In fact, neglecting to keep in close contact with people who are important to you is at least as dangerous to your health as a pack-a-day cigarette habit, hypertension or obesity." Wow. This in person contact could be as simple as a handshake and does not need to be deep meaningful conversation each time. In my case, it's meeting every Tuesday night for a game of ball hockey. We need our village back. We need the face-to-face connections. I would encourage you to think upon times in your life where you felt that collective assembly–something greater than yourself, something that brought you joy. It may have been 16 years since I last played ball hockey but that just shows that it's never too late. Sometimes it takes a bit of researching to find what we're looking for. Give it a chance and be open to opportunities. It is worth it. What in person connections will you have this week?